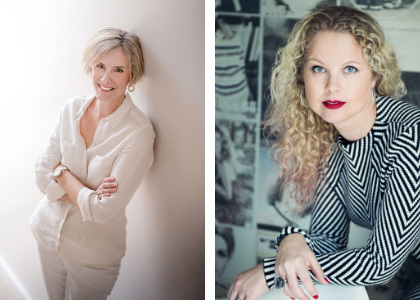 Give yourself the best chance to be a winner in the Montegrappa Writing Prize 2019 with an exclusive workshop held by former Montegrappa prize winners Annabel Kantaria and Jessica Jarlvi. This workshop has a limited number of places, so do sign up as soon as possible! Jessica and Annabel will share the secret of how they captured Luigi Bonomi’s attention and how to maximize your entry. Get pointers on writing your synopsis, polishing your submission and tips on how to avoid some of the common pitfalls for first-time writers. They will also read your submissions and give individual feedback; Annabel or Jessica will look at your synopsis and first 1000 words; the deadline for sending those is 3 November 2018. Open exclusively to registered Montegrappa Writing Prize competition participants. And it’s not too late to register for the Montegrappa Writing Prize. Click here to register now. Annabel was the first winner of the competition and has gone on to achieve amazing success with four novels now in publication. Jessica was a winner in 2016 and her second novel was published this year. Click here to learn more. Once you buy your ticket, you will receive an email within five working days with details of how to submit your synopsis and first 1,000 words. Montegrappa Writing Prize Workshop held by former Montegrappa prize winners Annabel Kantaria and Jessica Jarlvi. In 2013, journalist Annabel Kantaria won the inaugural Emirates Airline Festival of Literature Montegrappa Prize for First Fiction. Her work caught the eye of London agent Luigi Bonomi and Kantaria went on to secure a three-book contract with Harlequin’s MIRA Books. Her debut novel, Coming Home, was the reworked version of her prize-winning manuscript. Since then she has written The Disappearance, The One That Got Away and I Know You. Kantaria was editor of Emirates Woman before she left office life to work as a freelance journalist and author. She lives in Dubai with her husband and two children. Born in Sweden, Jessica Jarlvi moved to London before her career in publishing and PR took her to the USA and the Middle East. Having also completed a Masters in Creative Writing and taught journalism to undergraduate students, writing is her true passion. Jessica won a Montegrappa First Fiction Award at the Emirates Festival of Literature in 2016 and has since secured a multiple book deal. Her first novel, the psychological thriller When I Wake Up, was published in 2017 and has featured on bestseller lists in the US and Australia, where it was number 1 on iBooks and Kindle. Recently Jessica also published the gripping psychological novel, What Did I Do?. Jessica balances her time between her writing and her growing young family.